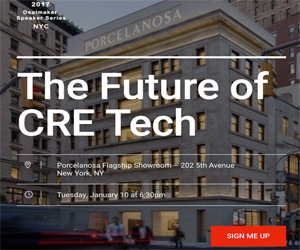 CurbStreet is a cloud-based real estate marketing and analysis tool designed with the goal of maximizing the abilities of commercial real estate professionals. Co-founded by Michael Sueoka and Matthew Freedman in 2011, the two decided to merge their respective areas of expertise in the real estate and technology sectors to create a B2B solution that would simplify the outdated data entry and analysis processes still being used today. The inspiration behind CurbStreet is a simple one. As opposed to using the old, tried-and-true technology solutions common in the real estate industry, which require days of exhaustive data entry across a variety of different platforms like Excel, PowerPoint and Microsoft Word, CurbStreet has combined all of the functions of these various programs and incorporated them in an extremely easy to use, streamlined user interface. CurbStreet first works by allowing users to input data on deals that they are currently working on, as well as deals that they have completed in the past, so they have a full inventory of information involving all of their past transactions. In this way, CurbStreet acts as a historical database for real estate professionals, granting them the ability to seamlessly look back and gain insight from deals they have completed in the past and use this in-depth data when compiling reports for potential clients. CurbStreet users can also input lease comparables to help provide a more comprehensive view on the areas they are conducting business in. That, combined with their own library of information, is what powers the software’s intuitive financial analysis tools that can auto-calculate financial projections for up to ten years. Once a user wants to crunch the numbers, they input the corresponding data and CurbStreet produces a detailed rundown on all the specs of the property, along with calculating the appropriate financial projections. Using CurbStreet, it’s that much easier for users to create detailed reports for their clients. The days of spreadsheets and word documents have come and gone. These processes of data entry and analysis are fragmented and extremely time consuming. CurbStreet is one of the companies leading the charge to provide new, intuitive methods as alternatives to these antiquated tools. Interested in trying out CurbStreet? Sign up for their 45-day free trial. With agents from organizations such as CBRE, Cushman & Wakefield, Colliers International, and Marcus & Millichap counting themselves among the many users of the product, we can only assume that CurbStreet will continue to grow in the upcoming years.